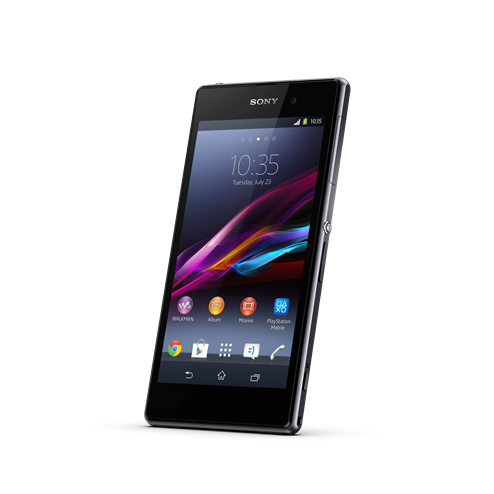 Sony has officially introduced the Xperia Z1, a 5-inch smartphone that will arrive running Android 4.3 and is made out of a solid one-piece aluminium frame. It can also survive being dropped in the sink. The device was heavily teased by Sony leading up to the event at IFA, but the device maker held back on sharing specific details until today. Sony has followed the lead of several other mobile device makers like HTC and Nokia in attempting to make the Z1 stand out from the crowd with the quality of the camera. To that end, there’s a 20.7-megapixel G-Series sensor buried away, which will (naturally) support full HD video and stills. It will also support features like Social life which will allow streaming direct to Facebook in real-time, Timeshift burst which can take 61 images in 2 seconds and allow the user to choose the best (30 before the shutter press, 30 after), Info-eye and AR Effect. To take it one step further, Sony has also introduced the QX10 and Qx100 lenses that can clip on to the Z1 (or any NFC-enabled smartphone, for that matter) to turn it into a fully-fledged premium digital camera. The announcement of the Z1 comes at a critical time for Sony, as it follows up its previous generations of Z series devices in the face of stiff competition on all sides, be it Nokia, HTC, Apple’s September announcement, Samsung or any of the other contenders out there. While it doesn’t have quite the same level of software tweaks as the Samsung S4, for example, it differentiates itself in other ways. There’s really not too many phones on the market that’ll let you take a picture underwater with a 21-megapixel sensor. Pricing hasn’t yet been announced, but the Z1 is due to start shipping in Europe from this month.